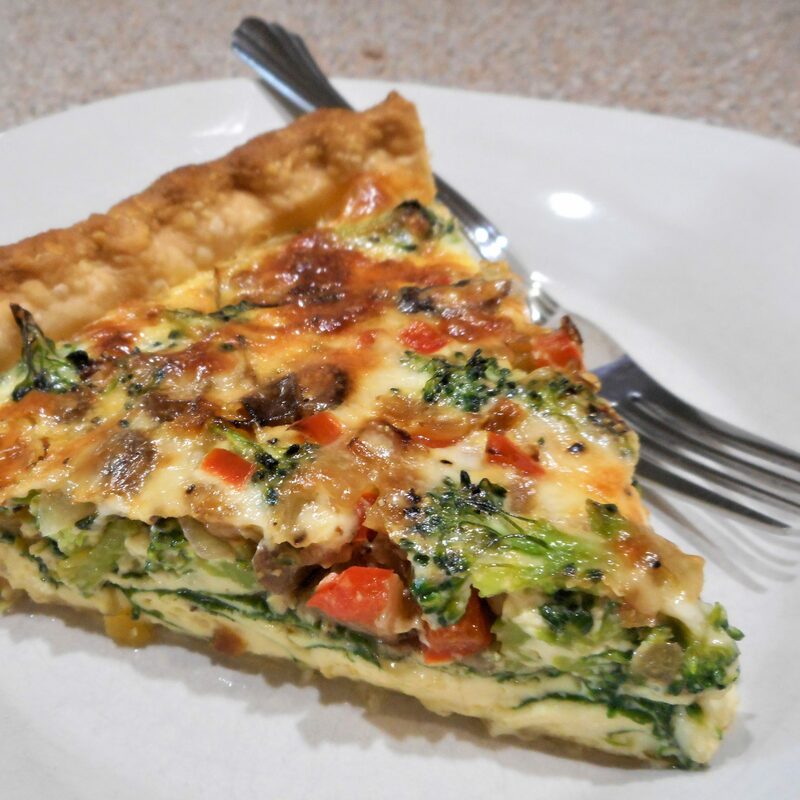 I’ve made many varieties of quiches, but in all my years of cooking, this may be the best one yet! 1. Preheat oven to 425°. Unroll pastry sheet onto a lightly floured surface, roll to a 12-in. circle. Transfer to a 9-in. deep-dish pie plate; trim and flute edge. Refrigerate while preparing filling. 2. In a large skillet, heat butter over medium-high heat. Saute onion, mushrooms, and peppers until mushrooms are lightly browned, 6-8 minutes. Cool slightly and stir in the broccoli. 3. Whisk together eggs, cream, milk, and salt and pepper. Sprinkle 1/2 cup cheese over crust. Top with spinach and vegetable mixture. Sprinkle with remaining cheese. Gently pour in the egg mixture. 4. Bake in the lower third of the oven for 15 minutes. Reduce oven setting to 350°. Bake until a knife inserted in the center comes out clean, 25-30 minutes. (Cover edge loosely with foil if necessary to prevent over-browning.) Let stand 10 minutes before cutting.